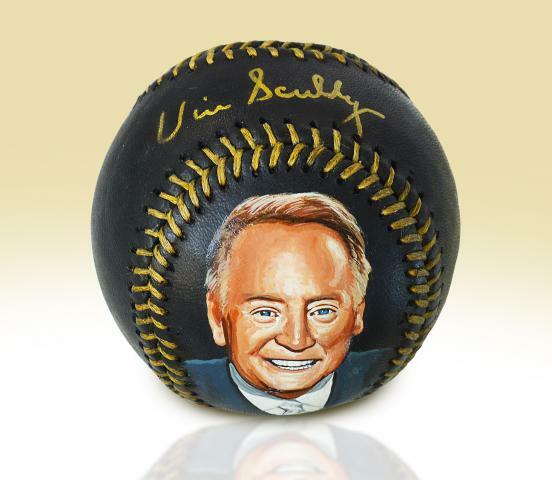 This rare black Rawlings baseball comes personally signed by Dodgers' legend Vince Scully. 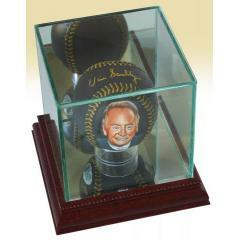 This special McKay Sports hand painted and signed baseball will make a great addition to any fan's collection. 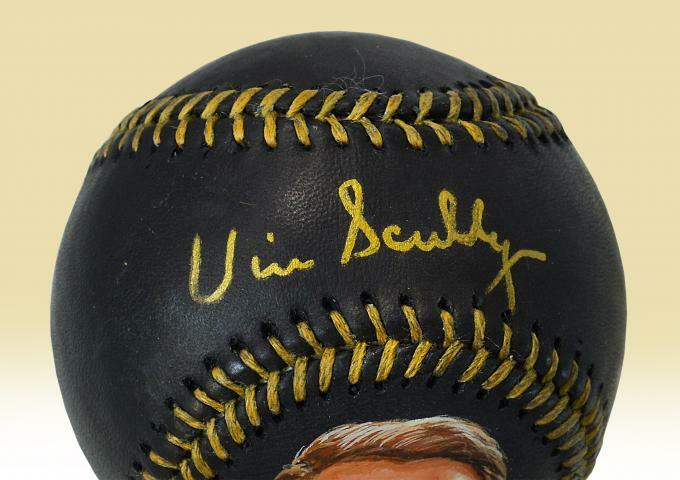 This baseball features an artist's likeness of Scully, his authenticated autograph, and comes with its own handsome display case. 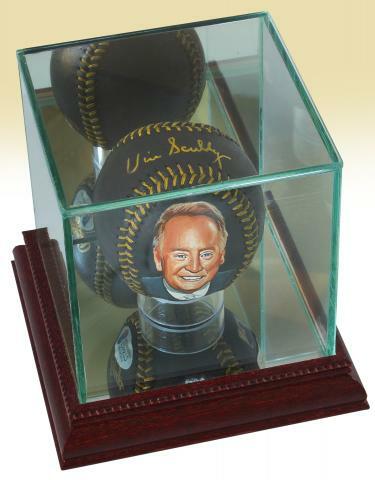 This is a unique collectible that will be the crowning jewel of any memorabilia collection. 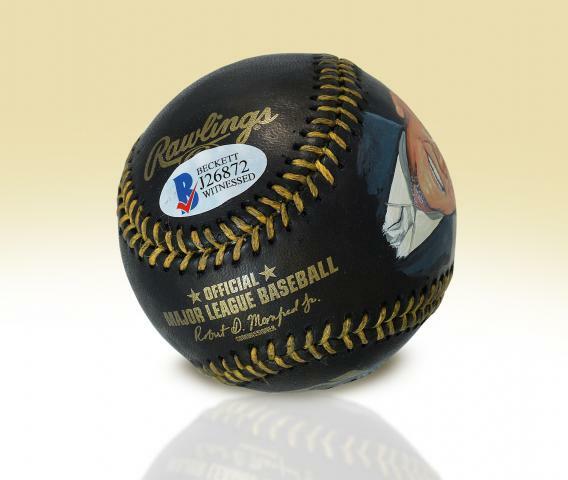 Order now before this baseball sells out! Due to the limited nature of this offer we must charge your credit card for the full amount immediately upon taking your order. This policy ensures we reserve the ball for you. We will confirm your order by email. This ball is not game used. Baseball is in stock.